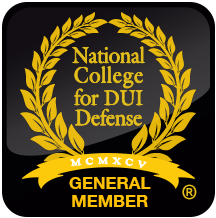 Why would anyone rely on DUI tests that are 46.5% FALSE positive to determine their future? Don't let others do that to you! Rely on our extensive jury-trial experience to help you decide how to contest the charges against you. Let us explain your alternatives and explain how we can help. The government trains police to use tests that are admittedly "unacceptable". We can help use the flaws of the tests and the mistakes of the police to defend you against mistaken assumptions. Don't let others treat your case like an alcohol case! We use strategies based on pharmacology, physiology and other scientific principles. Learn the weaknesses of the police tactics of drug recognition. There is NO CHARGE to learn what we can do for you. Our unique approach is to comprehensively analyze your case at the initial meeting. We will explain our expectations and ANSWER YOUR QUESTIONS! Because the police create special DUI documents that provide insight into their assumptions, beliefs and even their own mistakes and weaknesses, our initial analysis almost always yields a comprehensive strategy that we share with you. 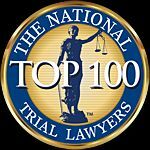 Compare our knowledge, experience, training, successes, candor, helpfulness, and most importantly our TRIAL SKILLS to see if you want us to be your advocates and counselors at law. Greg Fombelle is a dedicated DUI lawyer. Don't risk your future. Call, email, or use the contact form today! Fill out the form on the contact us page and we'll get back quickly.